In typical Eryn form I started researching soccer programs for young children and digging into what makes each program different. For Owen's age (3 years old) I was mainly looking for a program that was play based with great coaches. Through all my research, I found that Locker Soccer was the one program that stood out. They came highly recommended by women in my mom's group and I loved what I heard from the staff about how their programs runs. Bonus - the program is indoors so they run year round. I don't like to change things around a lot so if I put my kids in a program I like to stay there and not bounce around so a year round program was a huge bonus for us. We started at Locker Soccer in December of 2016 - every Saturday at 11:20 we were on the field passing a soccer ball around with our little guy at 11:25 we headed off the field and Owen went to huddle with Coach Mike and Coach Allie. It made for the perfect Saturday. Coach Mike is incredibly patient with all of the kiddos he has running around the field. He keeps them engaged every second and while we were new to the season it was clear that the other parents knew him well and loved him. There was a moment that Owen wasn't listening and was just running around on the field while Coach Mike was speaking with the other kids as a group. It looked to me like Coach Mike didn't notice so I went up to the net and tried to get Owen's attention so he would go back to the group. Coach Mike looked at me and said "He's fine mom, I've got him." He did notice that Owen wasn't with the group but he was giving him the time to explore for a minute before getting him back with the group. It was in that moment that I knew we had picked the right program for us. 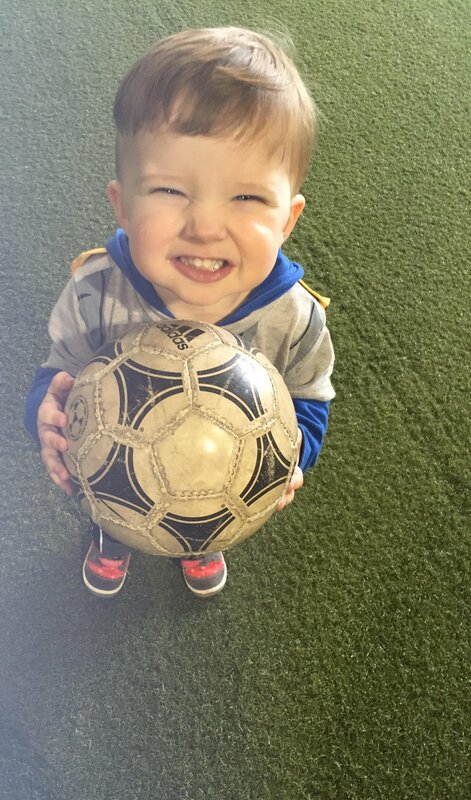 We spent many Saturdays taking our guy to soccer, warming up with him, watching as he made new friends, and laughing at just how adorable a bunch of three year olds are playing soccer together. Owen would come home and talk to us about his friends, his coaches, and then ask his daddy (not me or his sister) to go play soccer with him. Owen now loves soccer for more than just knowing that his daddy used to play but because Locker Soccer has taught him about the game. He loves running around the field kicking the ball, playing sharks and minnows, and seeing Coach Mike and Coach Allie. He can't wait for Spring Season to start. Stay tuned for updates on how he progresses and how the program changes as he gets older.